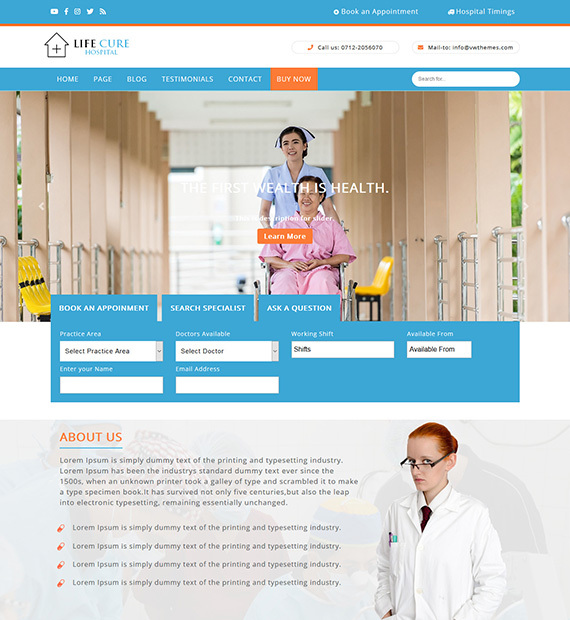 VW Hospital Lite is a WordPress theme created specifically for medical websites. There are a lot of features here that age geared specifically towards helping out the people involved in health services. With just a few clicks, you can include a Call to Action Button (CTA), Appointment Form Section, Testimonial Section and more into your website. Moreover, this theme is also highly responsive, SEO friendly, WooCommerce optimized, and translation ready with RTL Language support. Showcase the services you are offering in your hospital, clinic beautifully on your website and gain more trust. Let people know everything you do. Allow the website visitors take an appointment online simply by filling up an online form! In-built online forms or support to popular contact form plugins.